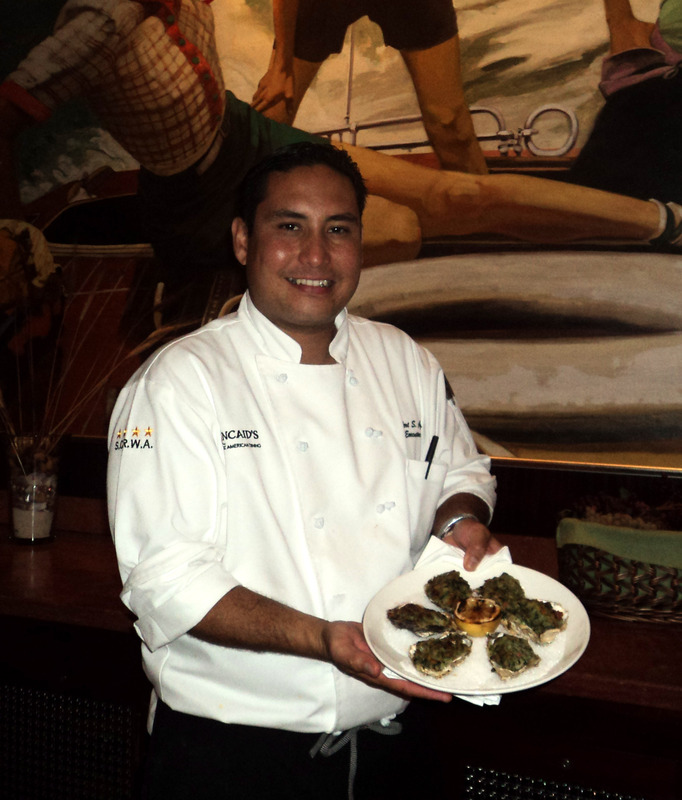 Executive Chef Bert S. Agor, Jr., the innovative and passionate young chef at Kincaid�s in Redondo Beach, runs one fast moving and fantastic kitchen. An army of talented chefs, servers and managers keep people and food moving with style at this classic �fish, chop and steak house�. Their menu honors tradition, but with a chic original flair, which is clearly demonstrated in their oven roasted oyster Rockefeller, and crab ceviche dishes. 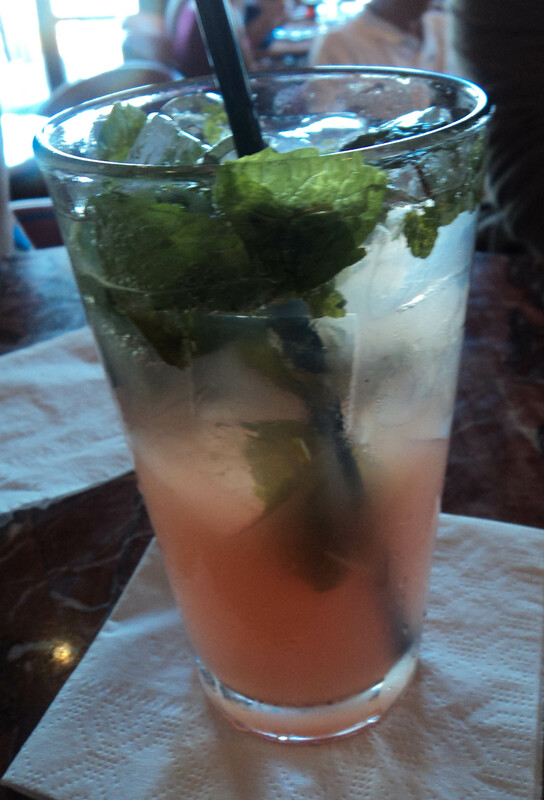 The ocean views are sensational on the outdoor patio or from any seat in the restaurant or bar. They offer fine dining in rooms filled with rich wood, attractive table settings and comfortable seats. The ambiance is casual and completely relaxed, and the location is an anchor for the Redondo Beach Pier, making Kincaid�s a major attraction for tourists and locals alike. Service at Kincaid's is outstanding, with a staff who aim to please. 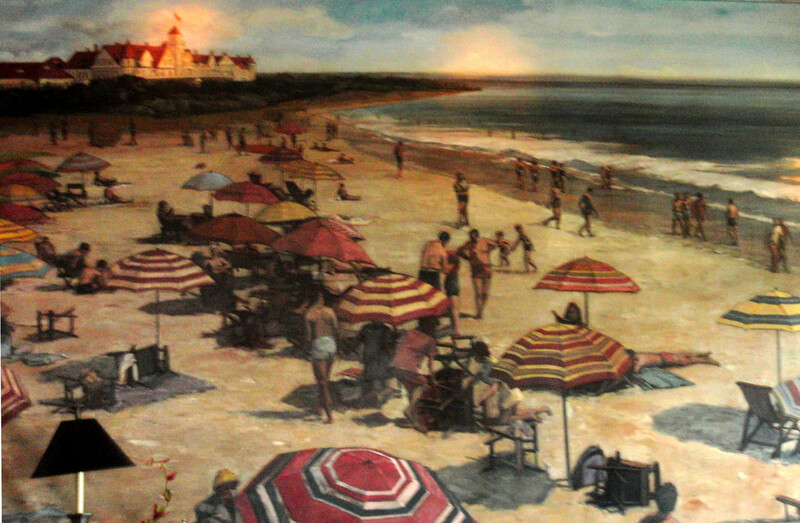 Some amazing historic beach art adorns the walls of this restaurant including a painting of Hotel Redondo; the former showplace of the South Bay built in 1890 and closed in 1925. 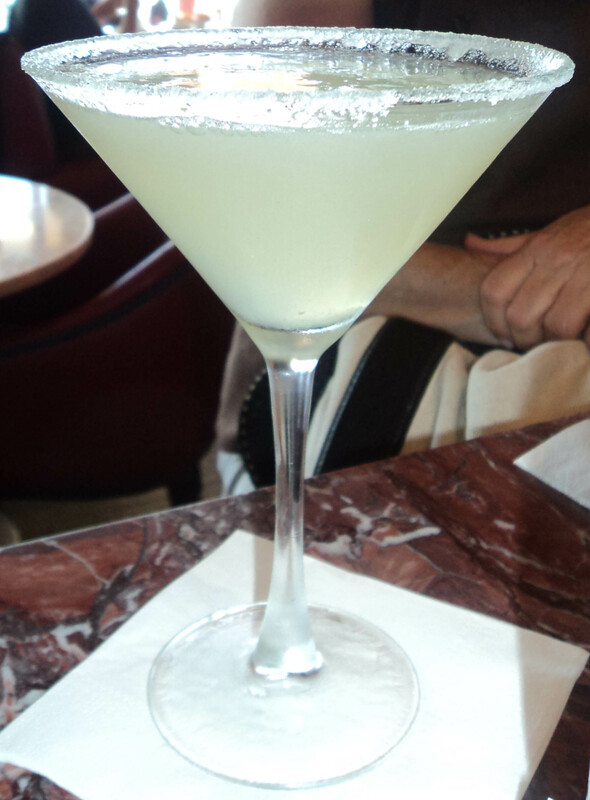 The hotel was referred to as �the castle� and it is said that prohibition may have caused its decline and closure. 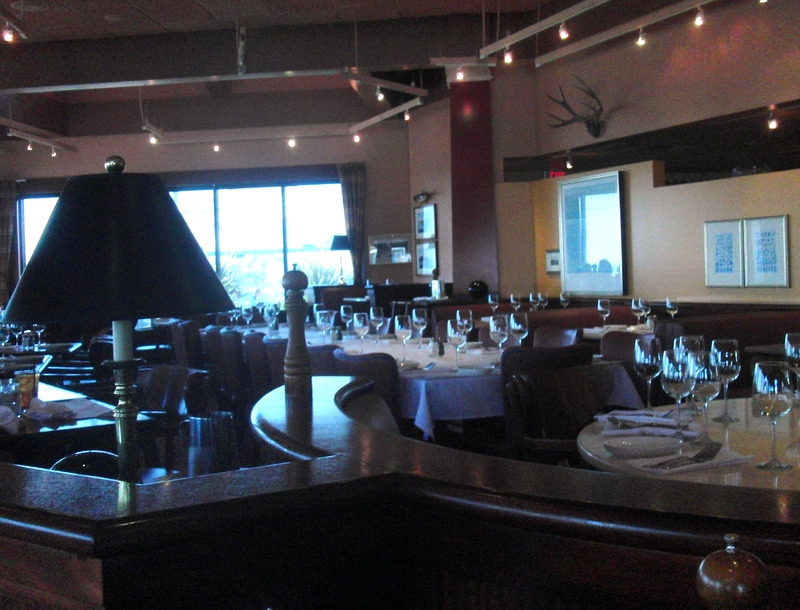 If your are hungry - it�s all here, salmon, steak, short ribs, scallops, seafood etouffee, chicken, pasta and more. Soups include classic favorites of salmon or lobster bisque, French onion soup and New England clam chowder. A collection of outstanding salads to choose from, and this restaurant also offers gluten sensitive items. Around the world �wine by the glass� or the bottle include a list of international favorites as well as a bevy of fine wine selections from California vintners. Happy Hour in this beautiful eatery by the sea is from 3:00-6:30 and 9:00 until closing daily, and could easily serve as a light meal. Some favorite items on the extensive happy hour menu include jumbo prawn cocktail, oven roasted oysters Rockefeller with herb bread crumbs, spinach and bacon, clams on the half shell in white wine sauce and more. 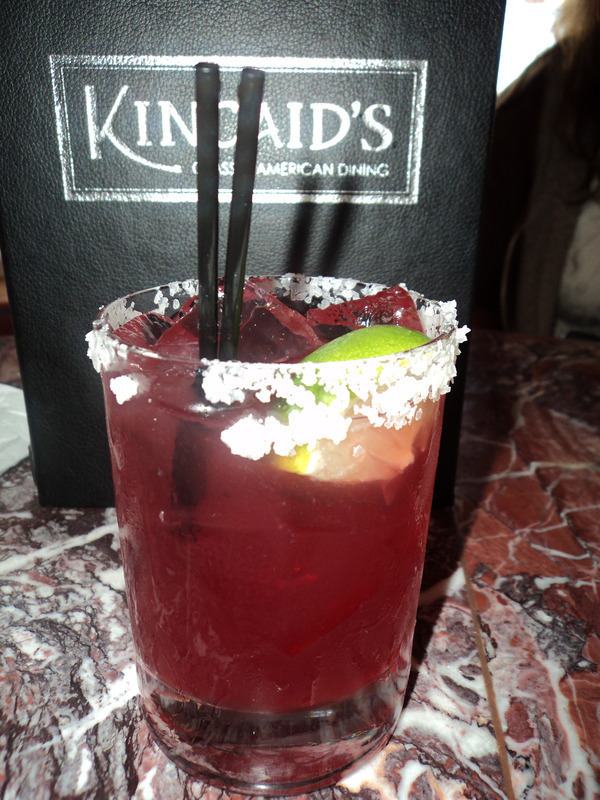 The signature strawberry crush cocktail, lavender cosmo, and pomegranate margarita are big favorites, but Kincaid�s drink menu offers an amazing variety of original recipes and traditional favorites. The mixologists' will make a drink to order for you, be it a retro concoction or a �flash from the past� nostalgic cocktail, and they are masters at creating magical muddled drinks using fresh fruits and herbs that look as good as they taste. 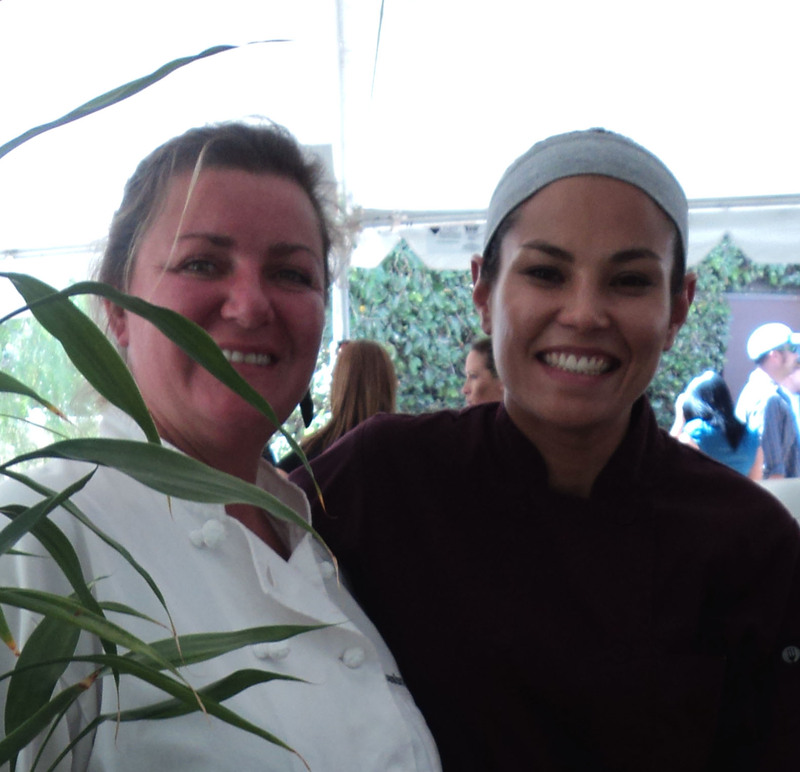 Join Mary Sue and Susan as Los Angeles Times' THE TASTE returns Labor Day weekend for a star-studded, three-day culinary extravaganza, showcasing five signature foodie events. 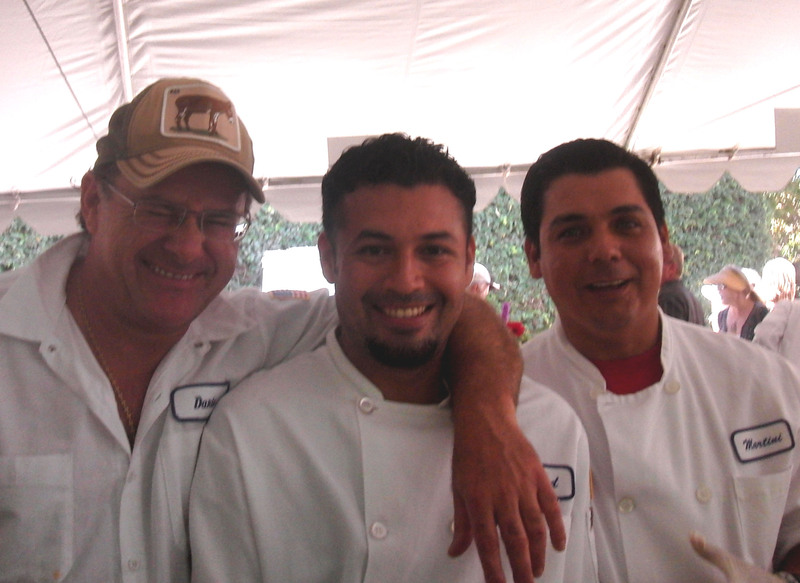 On Sunday, September 2, 2012 from 11 a.m. to 3 p.m. enjoy the Flavors of L.A. as curated by Jonathan Gold and Evan Kleiman with authentic dishes from around the world, featuring Border Grill Truck, A-Frame, Picca, STREET, Wurstkuche, and so many more of L.A.'s best restaurants. This unique event, centrally located at Paramount Pictures Studios, offers food tastings and unlimited pours of beer, wine, and craft cocktails, as well as numerous live demos--including Susan's cooking demonstration at 12 noon. Click here for tickets to THE TASTE, available now through August 31, 2012 for $65 per event. A Gaelic singer from Strathglass has won the highly-coveted Golden Spurtle, the prize for winning the World Porridge Championship 2011. The first time entrant but life- long porridge maker was commended today in Carrbridge, where the event is held, for his outstanding porridge by the judges in the cook-off. Competitors� porridge was judged on consistency, taste and colour..
John used medium oatmeal from Hamlyns of Scotland, a local oat mill, tap water from Carrbridge and salt. �There is no secret to my success, it is just knowing what good porridge looks like and stirring constantly until it is properly thick, when I then add the correct amount of salt,� he explained. An accomplished gaelic singer and gold medal finalist at the National Mod, John sings with Lothian Gaelic Choir. He enjoys cycle touring and has twice cycled between Land�s End and John o� Groats, once in each direction. On each trip he carried oatmeal, salt and a spurtle to make a sustaining breakfast every day saying �I was undoubtedly helped along the way by a morning intake of porridge. The simplicity of using just one main ingredient makes it the only choice for cycle touring � it�s easy to carry enough to do breakfast for the whole week�. Winner of the Speciality competition � where contestants are free to add other ingredients to porridge � was 2010 Golden Spurtle winner Neal Robertson owner and chef of Tannochbrae Tea-room, Auchtermuchty, who produced a Winter Spiced Porridge with blueberries, sugar and heather honey. The event attracted porridge makers from around the globe with competitors from Sweden, Ireland, America and the UK, and from all walks of life, including an astrophysics student; a high flying managing director; a mill owner; mother of four, professional chefs and bed & breakfast proprietors. Judging was done by two professional Masterchefs of Great Britain, George McIvor and Colin Bussey along with celebrity judge, Karen Mackenzie, producer and co-host of the Fred MacAulay Show on BBC Radio Scotland. This year highly renowned Chef, Eric Briffard, head chef of Restaurant Le Cinq, has published a book, Eric Briffard � Le Cinq (�ditions Gl�nats), written in collaboration with Chihiro Masui and Richard Haughton. In his book the Chef gives his vision of modern cuisine and shares a few of his secrets. Visit: www.fourseasons.com/paris for additional information. The Food Channel� (foodchannel.com) has released its trends forecast specific to chocolate, identifying ten top trends in that category. The report identifies make-at-home Craft Chocolates as a top trend, along with Spreadable Chocolate and Chocolate Pairings. It looks at the health factors that are influencing the world of chocolate, and the way chocolate is popping up in unexpected places, like for breakfast. Each trend has a recipe example created in the Kitchens of The Food Channel . Recipes include Biscuits and Chocolate Gravy, Chocolate Blackberry Bark, Chocolate Cinnamon Cream Pie, Gluten-free Chocolate Cookies, and more. To find the report, simply go to http://www.foodchannel.com and search �chocolate.� ( http://www.foodchannel.com/articles/article/chocolate-trends-2012/). 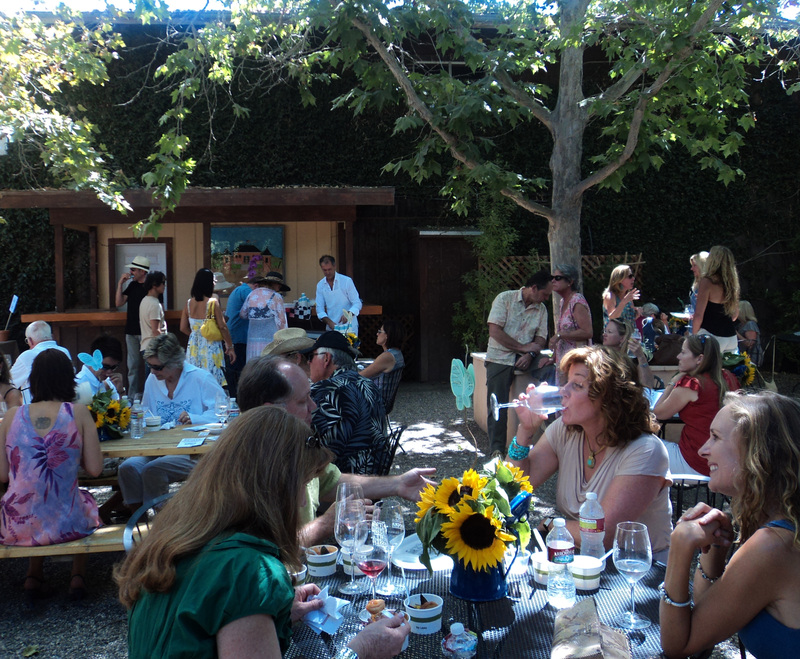 It was a picture perfect afternoon at the Brander Vinyard where Fred Brander welcomed the huge crowd of �foodies� who had traveled to Santa Ynez to celebrate the art of classic Bouillabaisse and Cioppino to raise funds for Hospice Santa Barbara. Master of Ceremonies Sonja Magdevski, who is not only the owner of Casa Dumetz Winery, but is also the best girl of actor/director Emilio Estevez, warmly welcomed everyone. The beautiful wine maker expressed her pride to be participating with the owners of 11 other wineries and 16 local chefs at the long awaited 2012 event. Host of the event Fred Brander said �Brander Vineyard is glad to once again bring our friends together to enjoy this 13th Bouillabaisse Festival. 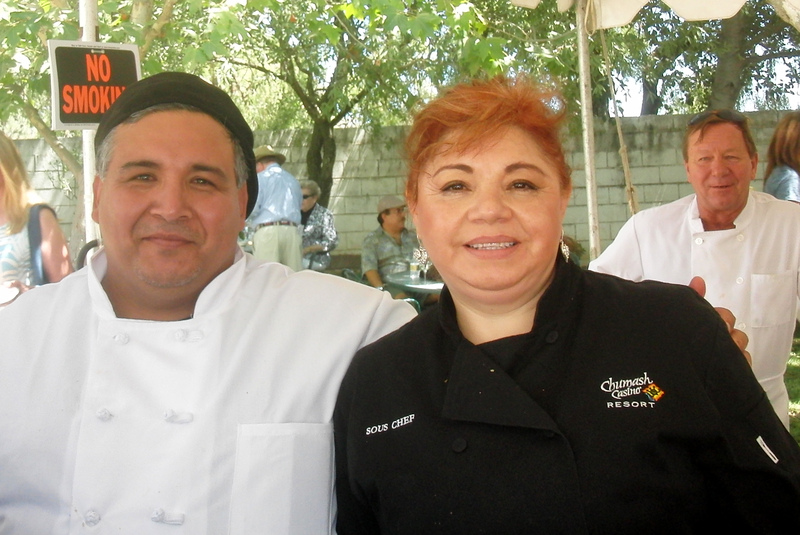 It has been six years since our last festival in 2006, and we are very pleased today to raise funds for Hospice Santa Barbara,� �We welcome you to our Winery and hope you enjoy this special afternoon,� he said. 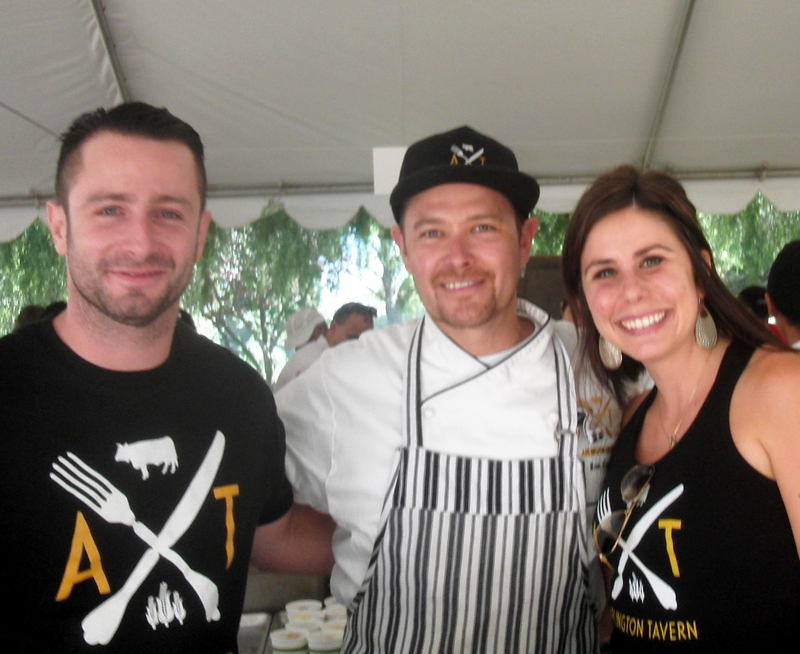 Chef Ron True and the Arlington Tavern Team went home with the Best Classic Bouillabaisse Award. 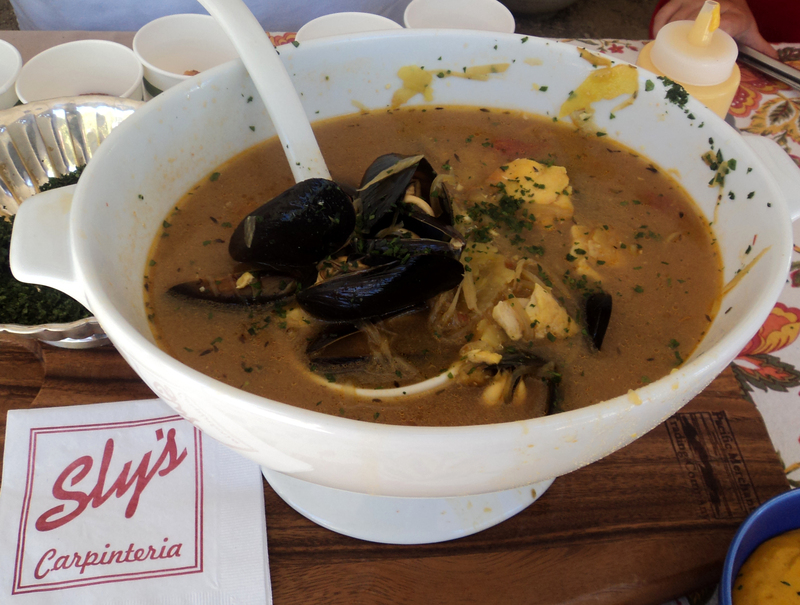 2nd Place Bouillabaisse went to the Sly's Team. 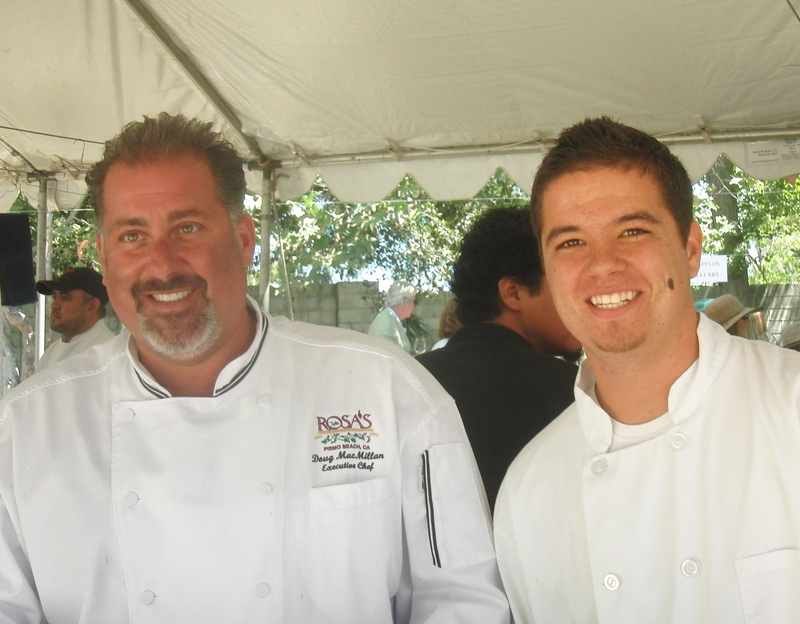 Best Cioppino & Best of Show went to Chef Scott Leibfried and the Arch Rock Fish Team. 2nd Place Cioppino went to Chef Dario Furlati's Team, Chef Sergio Renteria of the Chumash Casino Willows won the Open Table Award, 2nd & 3rd Open to Blush Team and La Cumbre Country Club. 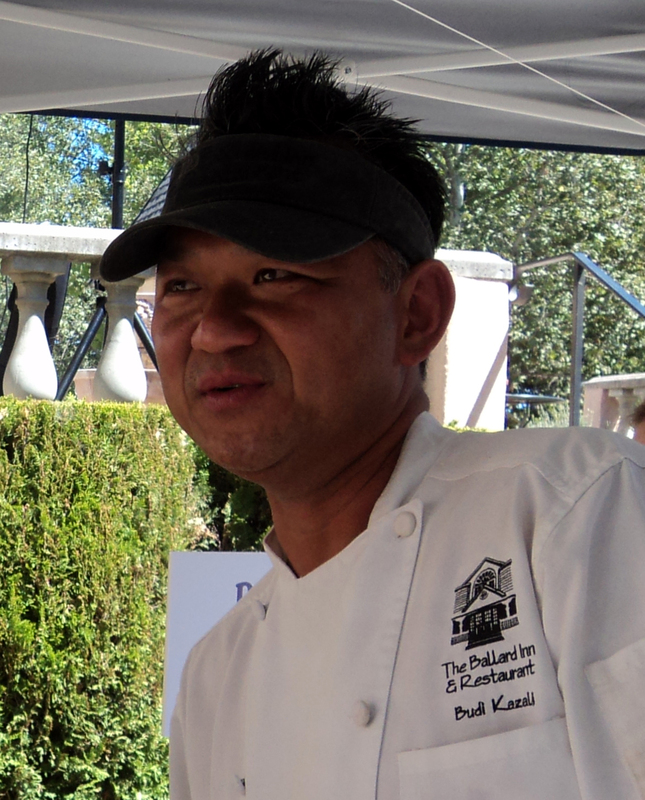 Chef Budi Kazali of The Ballard Inn won Peoples Choice Award, and Chef Doug MacMillan of Rosa's Ristaurante also went home with an award for outstanding culinary presentation. 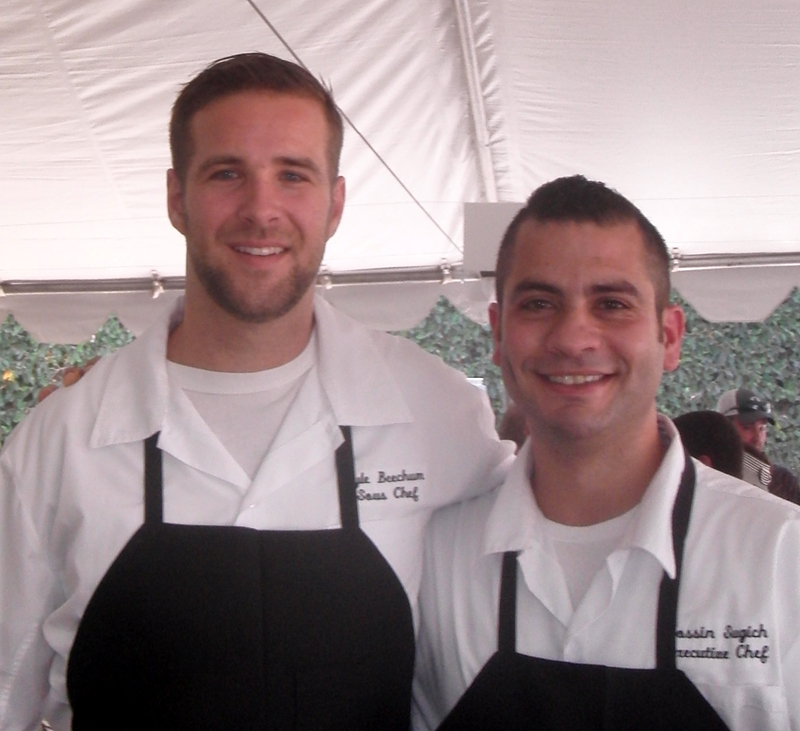 The 16 restaurants competing for the top 2012 awards included Arch Rock Fish, Arlington Tavern, Ballard Inn, Birnam Wood, Blush, Ca�Dario, Coast, Cold Spring Tavern, CECCO, La Cumbre County Club, Marmalade Caf�, Pane e Vino, Rosa�s Ristorante, Sly�s, Valley Club, and Willows. The wineries pouring included Alma Rose, Ampelos Cellars, Au Bon Climat, Beckman, Brander, Buttonwood Farm, Casa Dumetz, Jaffurs, Kaena, Flying Goat Cellars, Verdad, and Assorted French Roses. Event sponsors included KEYT3, Classic Party Rentals, IOA, Montecito Bank & Trust, O�Malley�s, Santa Barbara Bank & Trust, College of Applied Human Services, American Riviera Bank, Santa Ynez Band of Chumash Indians, MarBorg, Santa Barbara Travel Bureau, Home Improvement Center. Special thanks went to MAK Events, Well Bread, Rancho Olives, The Berry Man, Inc., Via Maestra 42 and Our Daily Bread. Judges for the event were a collection of respected professionals in the F&B industry including Arthur Von Weisenberger of the Santa Barbara News Press, Guy Gabrielle owner of Caf� Pierre, Krista Harris, Editor of Santa Barbara Edible, Leonard Schwartz of Lucky�s Restaurant, restaurateur Philippe Sautot, Gabe Saglie of TravelZoo, and Laurence Hauben of Market Foray. For additional information or to make a donation visit www.hospicesantabarbara.org. 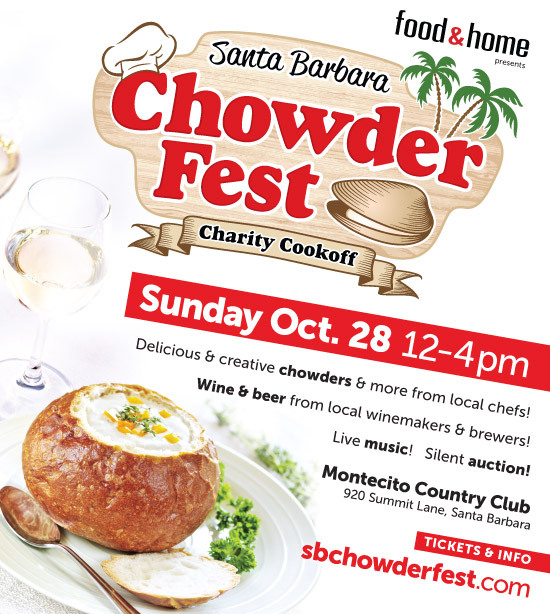 Answer The Questions Below Correctly and Win a Ticket to the Santa Barbara Chowder Fest. The person with the highest number of correct answers wins. Who were the first lovers of Fish Chowder in America? What is the root of the Latin word Chowder? 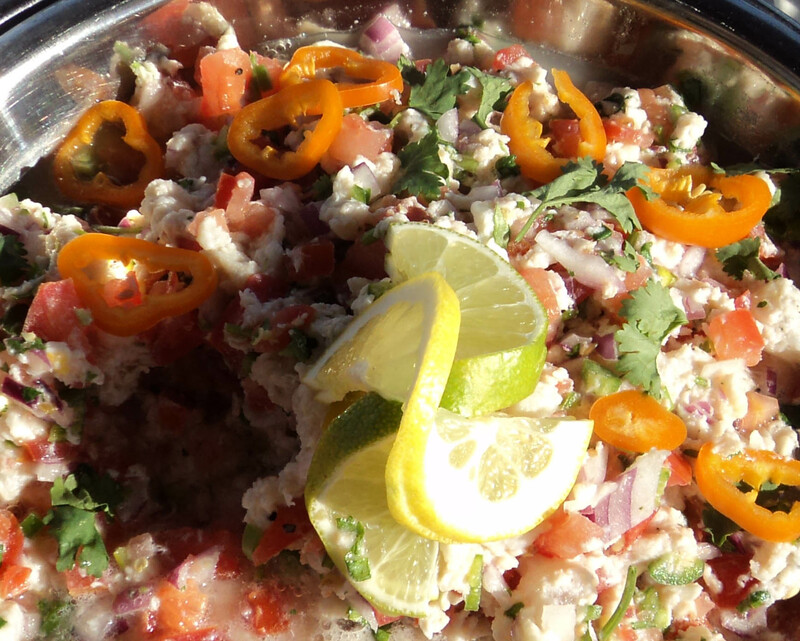 What country of the world is considered where chowder originated? What date did the first fish recipe appear in the Boston Evening Post? In 1828 what did Robert E. Lee�s wife call chowder in her cookbook? 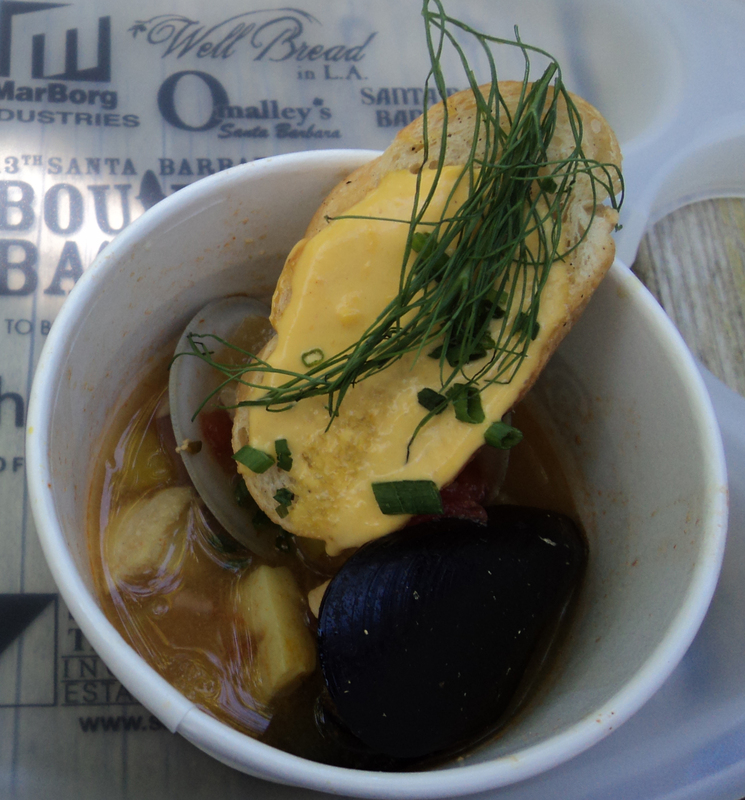 Who won 1st Place in last year's Santa Barbara Chowder Fest? Email your answers to writebc@aol.com . The lucky winner will be contacted by email or phone.